Md. Arifur Rahman, Chief Executive and Md. 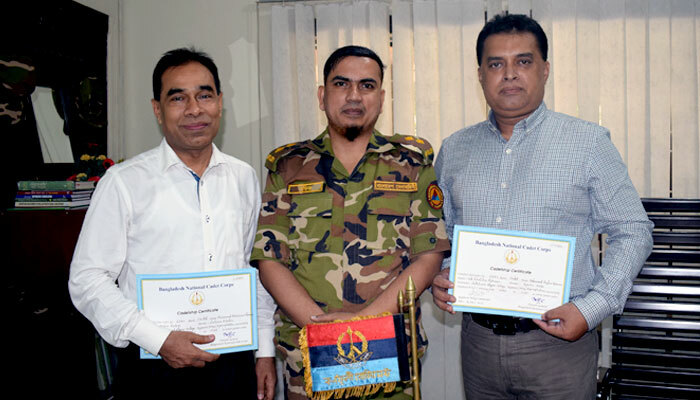 Mahabubur Rahman, Director (Social Development) of YPSA received the Cadetship Certificate (Bangladesh National Cadet Corps) on 31 July 2017 from Lieutenant Colonel Md. Shafiqur Rahman, Regiment Commander of Karnaphuli Regiment, Chittagong. 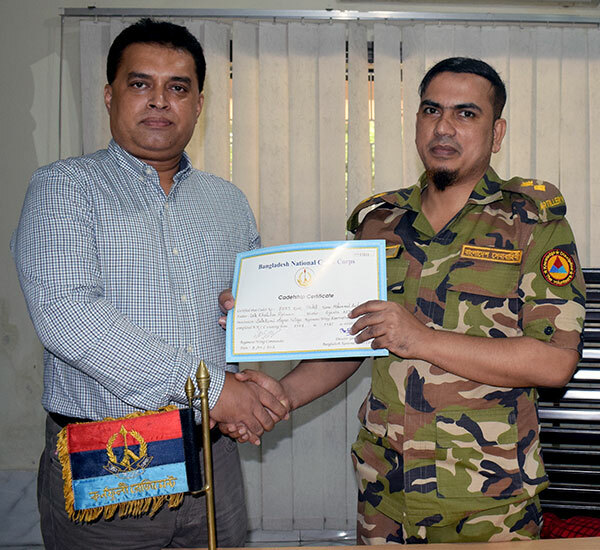 Bangladesh National Cadet Corps (BNCC) is a Tri-Services Organisation comprising the Army, Navy and Air Force. BNCC is entrusted with the task of grooming the future leaders and finding the hidden potentials of youths. BNCC is an organization consisting of Defense services officers, junior commissioned officers (JCOs) and Non commissioned officers (NCOs), civilian officers and staffs, teaching staffs and students from different educational institutions. Ministry of Defense administratively controls this organization. Chief Executive of YPSA has received the Cadetship Certificate from Regiment Commander of Karnaphuli Regiment, Chittagong. Md. 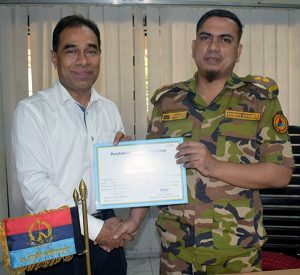 Mahabubur Rahman, Director (Social Development) of YPSA has received the Cadetship Certificate from Regiment Commander of Karnaphuli Regiment, Chittagong.